April showers bring spring flowers. This spring also is bringing us some baby showers. With my sister-in-law, a good friend of mine & my cousin all expecting at roughly the same times, we will be busy shopping for these new little bundles. Our daughter is very excited to welcome all of the new babies. I had the first of the baby showers this afternoon. This morning, I told Mai that mommy had to go to a baby shower today & she asked me “What’s a baby shower?” I explained to her that a shower is where you buy gifts for the new baby. She talked about her auntie’s baby. 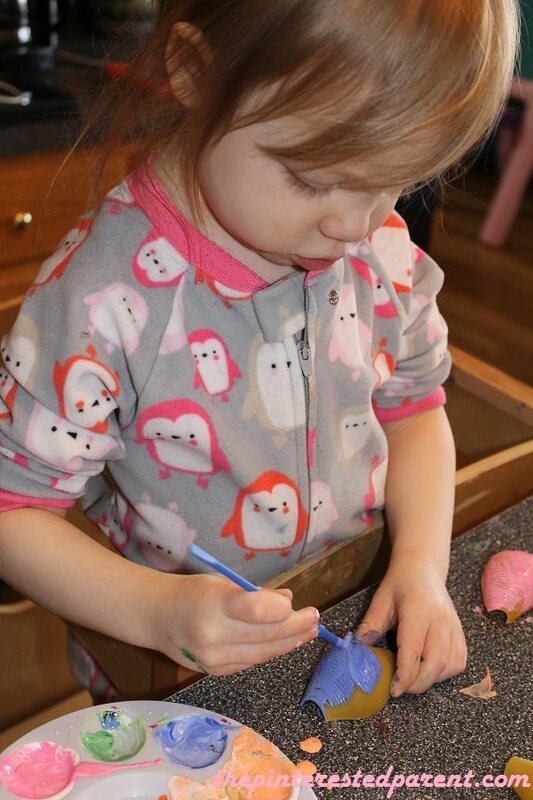 As you know my daughter loves to craft & she has been a great source of my inspiration lately. 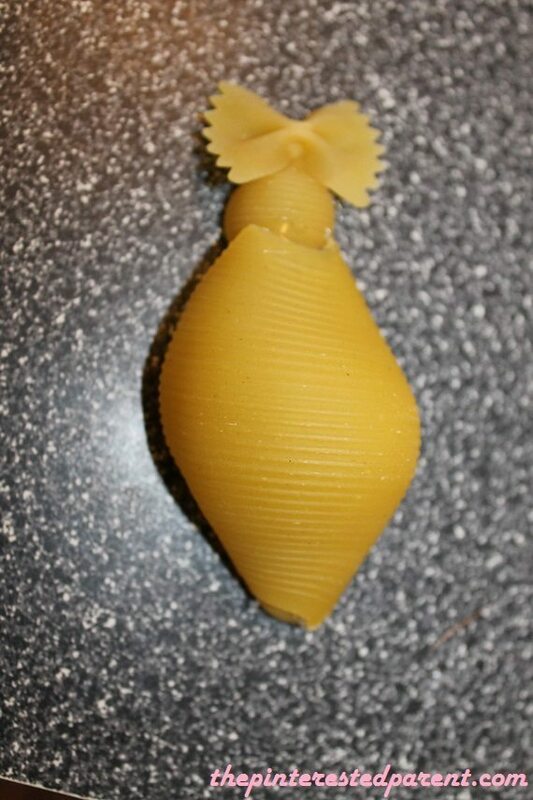 If pasta babies are what she wants to make, than that is what we would do. 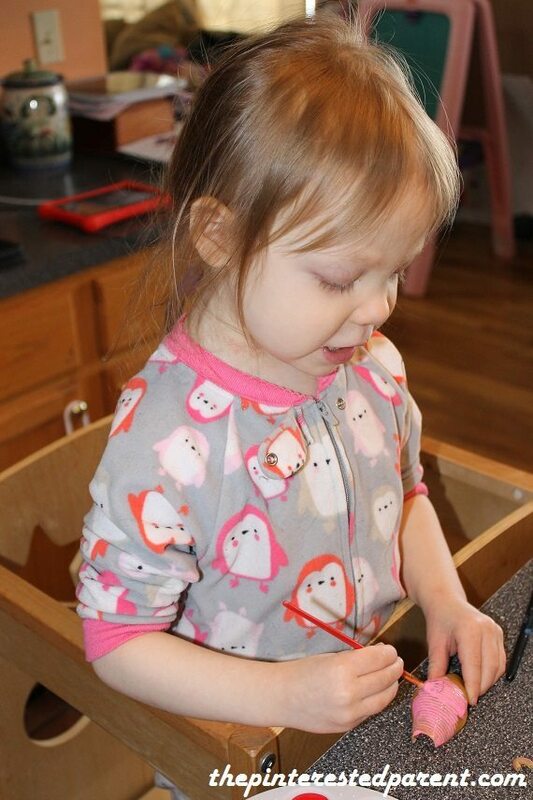 You may choose to assemble your babies first or paint the pieces first. It is your choice. We prefer to paint the pieces first & then glue together. 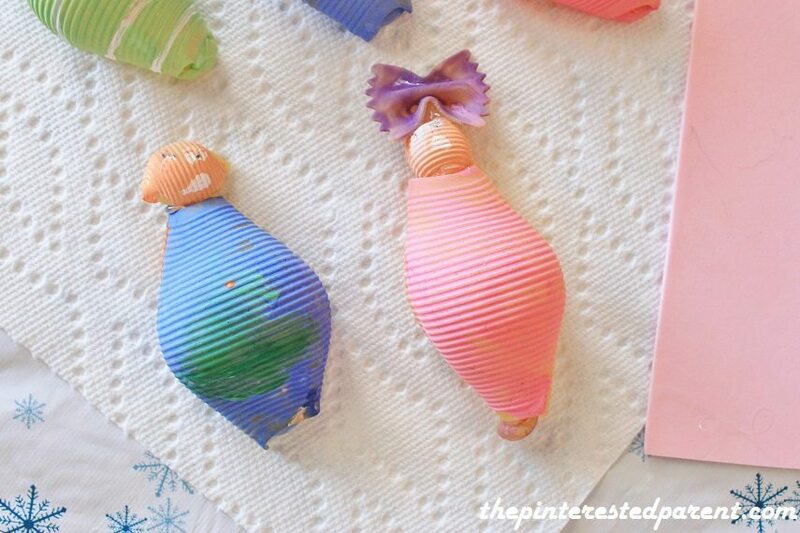 Paint the medium sized shells in a skin tone color. Paint the jumbo shells in the color of your choice. We went with traditional pink for the girl, blue for boy & neutral green. Paint the elbow in the same colors to match with the jumbo shells. Paint the bow for the girl. Paint the spaghetti strands in a hair color. Let the paint dry. 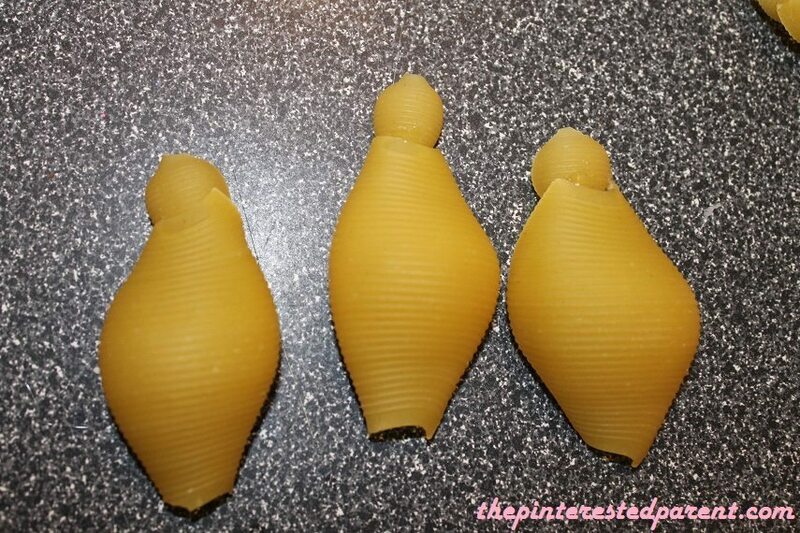 For each baby that you will make, you will place a medium pasta shell under the jumbo shell as shown. Use a small elbow pasta to tuck into the bottom of the shell to just round off the bottom. Glue the bow to the head for a girl. Glue spaghetti pieces for hair for the boy. Paint faces onto the heads. Let dry. Mai painted these & wanted to make her own faces. She also painted a scoop of ice cream on the little boy’s blue blanket for him. Thank you, Janine. I was supposed to bring a few to the shower for my girlfriend to. I forgot them at home after rushing around. Oops! Mai was very proud of her little babies. These are super cute. Your little girl is very talented! Thank you very much. She is very crafty and imaginative . I love that we can share in art together. It makes me so happy. 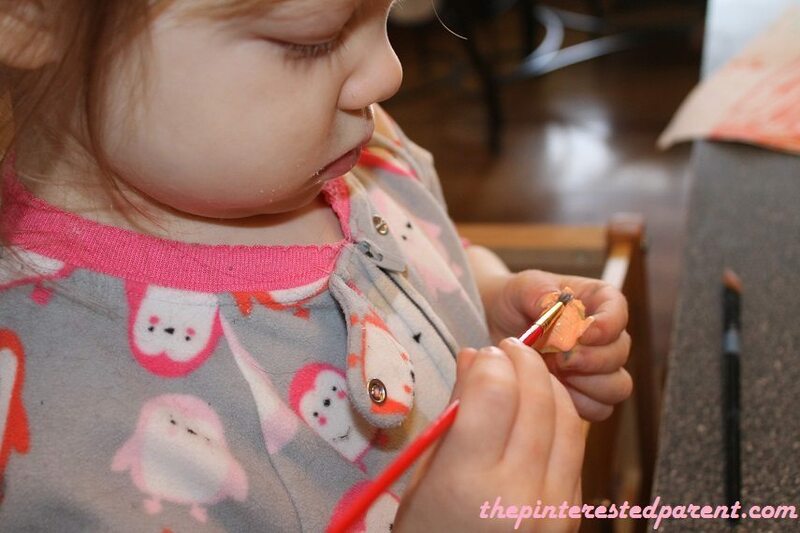 So cute and what a fun craft to do with your daughter! 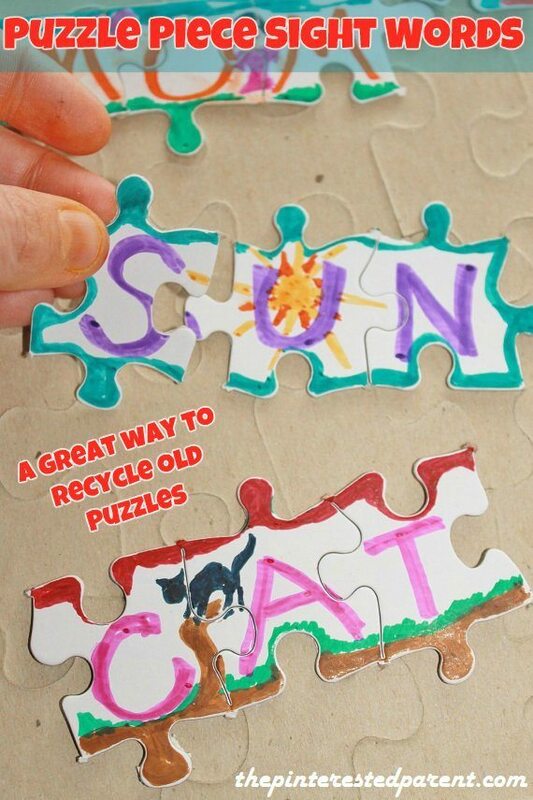 What a fun and simply craft! Love it. Thank you for linking at Snickerdoodle and for the inspiration. Hope to see you again! 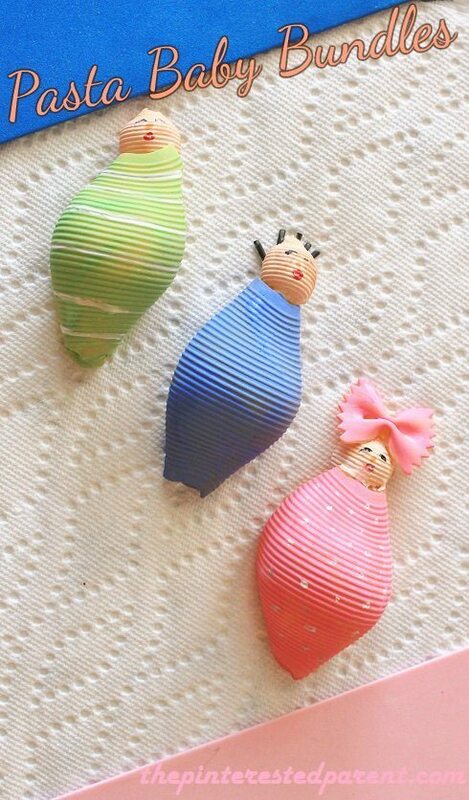 These are so adorable and creative! 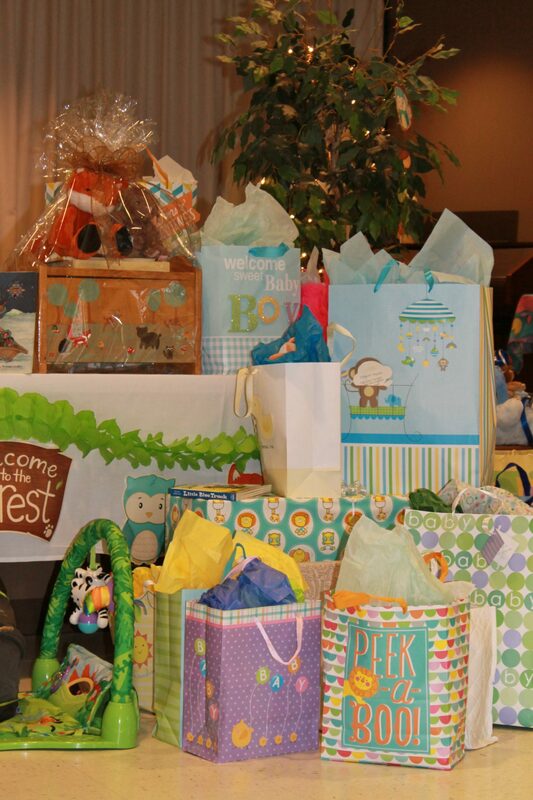 What a great idea for a baby shower or baby gift! Thank you for sharing them at the #SmallVictoriesSundayLinkup!